The project will enhance the facilities at Holly Lodge Community Centre, replacing worn out fittings such as chairs and tables, improve the community garden area with new planting, and bring in new facilities including computers for homework club and AV facilities to hold film nights. Several of the items will improve accessibility for older or less able residents. The equipment and facilities will enable better use of the community garden, improve accessibility for the lunches for older residents, allow for a homework club to be provided with new computers, and provide new accessible AV facilities and blackout blinds for film showings to be provided. These are the top priority new activities requested by the community in the recent survey conducted by the Holly Lodge Residents Association, and by requests from many residents attending the regular lunch clubs. The improved facilities at HLCC will help to mitigate the impact of recently lost facilities at the Mansfield Bowling Club, which is currently being redeveloped for housing but was listed as an Asset of Community Value. The redevelopment of Highgate Newtown Community Centre will also leave a gap of around two years in local facilities, making the enhancement of HLCC much needed during this period. The HLCC serves a mixed area of the ward, with many low income and older residents and also many with high incomes. The services it provides, including lunch clubs, have huge benefits to the community in terms of health and wellbeing, reducing social isolation and community cohesion. The new activities, such as film nights and homework clubs (supported by resident surveys) will help to bring the community even closer together and address deprivation and inequality at the same time. Items such as chairs for less able residents to improve the accessibility of the lunch club and also the hearing loop will directly address equality of access issues. The planters will engage members of the Community Centre and the sheltered housing, where many of the residents like to take an active part in looking after the shared resource of the outside terrace. The new resources will also be of benefit to the planned youth project which will hopefully start in the New Year, helping young people to make a positive contribution to the community as well as helping enhance their own life chances. The Community Centre has gone from strength to strength since 2013 when the council funding came to an end. There is a vibrant and well attended lunch club on a Monday, and recently a new lunch club hosted by Highgate Newtown at Holly Lodge has started on Fridays, offering a fish course and dessert. The Monday lunch is only made possible because we receive regular donations from local residents, enabling us to employ a cook; these donations are vital and we do need to try to increase these if we are to continue to make the Monday Lunch viable. Classes are developing and we still have a bit of daytime space for more regular groups if needed. There is a new Zumba session every Friday morning from 9.30 – 10.30 with great music, and open to all, whatever age or ability. Sunday mornings now sports a Chi Kung class, while you can do yoga on Thursdays or judo on Tuesdays. There is also a telescope society which makes and uses telescopes meeting every other Wednesday, violin lessons on three afternoons a week, and pilates for those recovering from cancer on Wednesday mornings. Our Holly Lodge Nursery in Oakeshott Avenue, run by Queen’s Crescent Community Association, is also doing well, offering a good education and childcare for children from 3 months to 5 years. Now that we are so well settled, we are in a good position to try to improve services to the community, and in partnership with the TRA, we will be actively seeking grants to enable us to offer increased opening times so that residents can drop in for a cuppa, use computers, play board games, or take part in more organised activities such as homework support, exercise and raising community awareness for young people, table top sales, afternoon teas, a film club, arts and crafts, or whatever the local community wants to see happening to bring people together. 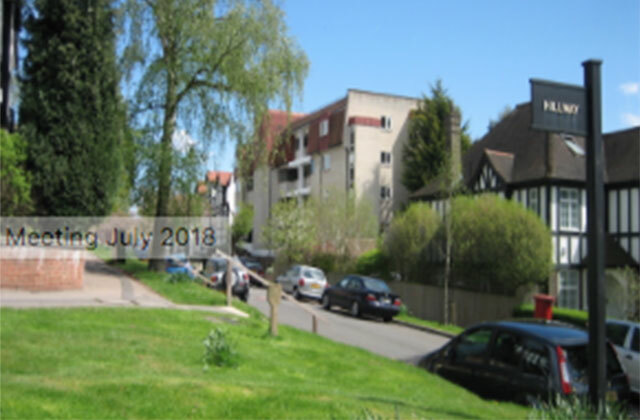 We will also be supporting Highgate Newtown in whatever way we can when their building is demolished to make way for the development of a new Community Centre and flats. One lady at our last Christmas lunch told us as she left, holding her present, that Holly Lodge Community Centre volunteers made her “feel cherished” – we hope that HLCC will continue to make people feel cared for and valued for many years to come. What an absolutely brilliant way to put the available CIL funds to good use. Reading about the improved facilities and enhanced activities at HLCC is so uplifting. Congratulations to everyone who are making it happen!